Very interesting read and great research. Astonished to read that so much happens so close to where I live. However I do not feel anything for those people. its a choice they have made and the only reason for it is their refusal to accept that they are common man and not some prince and princess. Their rights and duties are the same as that of a Citizen of India, and they ‘deserve’ no more, which I guess they feel they do. Thank you Shashank. Your feedback is always valuable. aj ke time me royal aur common ka deffrence ham log hazam nai kar pate hai…but it is true that they belong to a royal family. jahan tak mujhe lagta hai ke ye life wo apni marzi se to nai jee rahe honge.. jahan wo insan se ziyada dog par yakeen karte hai ……agar time rehte un par dhiyan diya jata ya unko aakela nai chorte ….to wo b main stream me aasani se reh sakte the … kai aur royal families b maine stream ke sath adjusted hai aj ke time me .. jab unhe unke haaal par hi chor diya gaya ..to shayad es tarah rehna hi pasand kiya hoga…. Thanks Madhur. This was indeed a very balanced and justified comment. Who are we to pass our judgement on them. Let them live the way they want to. After all, this is what right to freedom and right to live means. Excellent write-up Vikram. Totally agree we should leave them on their own, we owe it to. them. Very interesting and quite unbelievable…. I have been staying so close to this place and never knew anything !! Very Good work in ferreting out all these details, agree with you that they should be left to their own devices, these are people who are living in a time wrap and we can not dp anything for them. It is unfortunate though that progeny of all those so called royals who served the British continue to enjoy their wealth, many of them have become ministers and chief ministers and have roads named after them but the descendants of those who fought the British continue to survive like this or in circumstances that are even more pitiable. Thanks a ton for your precious comments. It is indeed unfortunate how our government treat people. Govt. even continues to reserve places based on caste and religion. I am waiting for the day when they reserve seats for really deserving candidates. Could u plzz tll me is that haunted story true…?? Abu the queen nd all….!!!! really is it yours so u should go there and check what the real matter is.Is it haunted and u should meet them also please reply me . Bye Bye . hello vikramjit,i m s ghosh. iused to pass by malcha marg everyday whrn i went to office in gurgaon.i hv a craze to see old buildings[ once my friend & me went to bistdari building.it was a rainy season. it was such a good view.i wanted to go further to see the back side of the house. i do not know what stopped me. suddenly a man comes out with a few dovermans & starts chasing us.we missed a heart beat.this is about 12 years ago.after some years the same building was in the tv. Thankyou for the great article..I was so curious to know about Malcha Mahal..and i don’t think so its haunted or something…its just that the people living at that place wants to live peacefully and just for our curiosity we’re no one to create any disturbance in their life..its like “Live & Let Live” kind of thing which people should understand. The duo thats why feels so unsafe. A very intriguing circumstance, indeed! Thank you for the wonderful article and all the information. BTW, loved your youtube video ( Heritage Photowalk). Keep up the good work. in spite of a very bad experience , i would like to visit there again and see the beautiful building from the back side and enjoy the architectural marvel. s k ghosh. Its the life the chose to live. Let them live but if the story of reporters going in but never coming out is a matter of investigation. Tresspassing is an offence and it should punished by house of justice i.e our courts. If they were indeed reporters and were unarmed when they entered that doomed mahal never to be seen again administration must interfere before its too late. These are the trait of A mentaly disturbed persons who can be serial killer. i have read the story in NBT in late 2012 , the same story .. I met that nbt reporter in 2012 at this malcha mahal. Coincidently, we both went there at same time and met the prince. I want to talk to u on this topic can u plzz call me?? 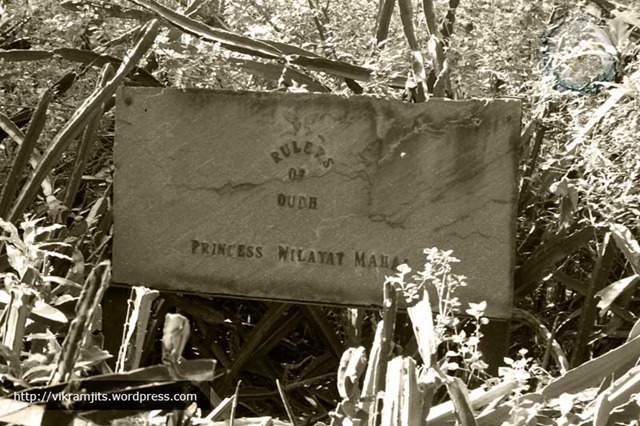 i was going through the malcha mahal history lately and was very curious to know about the whole truth and what exactly was going in there.Is the prince and princess still alive? PL. WRITE SOMETHING MORE INTERESTING. Very mysterious place indeed.. I have crossed that road so many times and once saw a Lady with the thinnest body, cheeks sucked in face, a painful face… But what I wonder about all the stories I have heard on this is…. No contact with outer world, no electricity, no regular water, Non regularity always increase expenses than decreasing… From where do they get money and how … Some mystery… mind bogling…. I have heard about this story from my father lot of times , that is why today I was doing research on it and realized it is a true story. God bless them. Count me in for any help required for them. Very disturbing story for me. If they are descendant of wajid ali shah,govt must look forward in this matter and give them what they deserve. i want to see the mahal from inside so i am taking a pistol with me for self protection..
i will give u feedback ASAP. This might sound heroic to you. But for me, it is a shameful act. You will invade the privacy of an old brother sister, who ask nothing but peace and loneliness. How would you feel if someone smashes into your house against your permission? Ojas can I hav ur number plz?? Mr. ojas, isn’t it bad enough that their lives have been ruined by being saddled with their mother’s delusions of grandeur? You should keep your bravado in check. It perhaps too late to rescue Sakina and Riaz from their sad world. They should have been provided specialized counselling to undo the damage wreaked on their impressionable minds. I shudder to think what they must have gone through after their mother’s death. From what I have read in interviews etc., both of them are quite intelligent and eloquent. They do come across as supremely arrogant, which is to be expected of people who have brought up on a steady diet of ‘we are better than everyone else’ or what is so succinctly captured in the Farsi expression ‘pedram sultan bood'(lit. my father was a Sultan). They fail to grasp the reality of their circumstance. They don’t need more rude intrusions into their private space. What they need is to be left well alone. I urge you to reconsider your plans. whai is their condition in 2014? 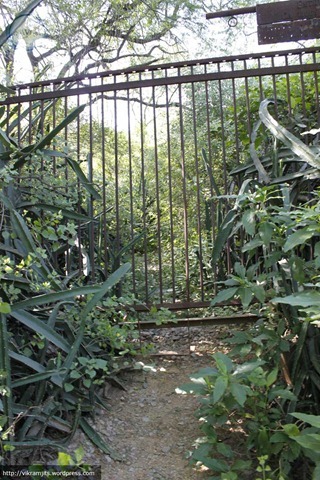 Are they dead or living; I had a visit to Malcha palace in Dec 2013 but failed to spot anyone and I was unable to gain courage to step in unless touch the gate. I wonder how are they managing their food and water and other necessary things? Until now their treasure may be exhausted, is it? However are they real heirs or not but what I believe that they had suffered a lot and should be offered a helping hand by GOVT OF INDIA. i went there.this palace is realy hunted.plese don’t go there. Well written vikramjit singh .. I am planning to go there in the next week most probably . So .. Can u please tell me whats the condition of that place right now .. ? . help would be appriciated . reply asap . unbelievable tale of sorrow, pride and intrigue, what is the latest on the inhabitants of the palace, and are there any pictures of inside of the palace? Hi Vikaramjit. Are the sister and brother duo alive still. How do they manage expenses and day to day needs if they do not step out. Kk…but what about those storys…people says..in ur research u have also tell us that this is not a good idea to put the Royal Navy in such a haunted place..
after reading everything available on net and their interview with foreign journalists in early days of their stay in Malcha,, i really got fascinated, so many questions in mind and concern about the pets like after they pass away,, who will be there to feed them etc. in an interview prince said that he is sure he will die before her sister and that her sister following the royal tradition do suicide,, on being asked what if she dies first? to this he said he is not sure about what he will do that time..
well they are too much arrogant and live in past rather in present(my opinion) they speak English well but i think they haven’t attended high school n college etc. coz since age 15 & 14 respectively they were at new Delhi station for 10 years then moved to malcha mahal at age 25 &24 in 1985,, coz they are supposed to be of 55 or more now..
out of curiosity don’t disturb their peace n bother them by going there,, you have everything about them on internet.. Moreover they are little different in their own ways n hate people specially Indians,, they have guns,, stay home or become their dog’s food by going there in simple words. What about the haunted stories when begam died after eating diamonds and some have also seen spirit of begam. Wikipedia says that begam died on 10 dec 2008 by eating poison what is the exact date of begam death. That was their mother, who died after eating diamonds. But that was more than a decade back. Very wonderful research by you…i just to ask you one is it a really haunted place or something ghoost is there.?? if the brother sister duo don’t go out..how do they survive?..i mean from where do they buy their groceries or foods or basic amenities like u know soaps..or anything? Princess 👸 never seen by people nearby or forest guards.. But Price do visit the nearby market for purchases mostly in evenings.. Or he may be seen having a walk with dogs in the mornings.. They do have a telephone and water supply(by forest officers).. Moreover nearby Embassies do help them.. They probably are indulged in dog breeding too for the Embassy people.. Prince have a passport and had done foreign tours.. They have managed to publish a book on their mother in Abroad.. It’s banned in India..
What is the source of this information Navneet ji? I visited the place last sunday with a couple of my friends. I was informed by the guard manning the Delhi Earth station that the prince and princesss are very much alive. The prince comes over to the earth station every morning for his water supplies, there is a tap connection from where he is permitted to take water. There is only one dog which is left of his herd, he leaves on a bicycle everyday in the late afternoon to Gole market area for purchasing meat for the dog and filling up his own ration supplies. He did tell that during the past a lot of embassy cars visited the place but they are not visible these days. He told us not to venture anywhere outside of the bistdari road, towards the malcha mahal as it might be dangerous. We followed his advice and stayed on the road itself and took some clicks of the mahal entrance. I visited Malcha Mahal last weekend with a couple of my friends. I was informed by the guard who works at the Delhi Earth Station that both the prince and princess are very much alive. The prince comes to the Earth Station every morning for his water supplies, there is a separate tap connection from where the prince is permitted to take water. The guard further told us that there is only one dog left of the herd. The prince travels on a bicycle everyday in the late afternoon to Gole Market to purchase meat for the dog and possibly to refill his own essential supplies. The guard said that in the past embassy cars which frequented the mahal, but now they hardly come. He instructed us not to sway from the bistadri road towards the mahal as it might be dangerous, we heeded to his advice and clicked a few pics of the entrance signange. Mother, servants cheated n absconded with valuables, locals breaking into house for treasure n killing dogs(their only trusted companions and friends), exhausted treasure, living with bats, lizards,snakes etc., no cover from rain or sun, or chilled air in delhi winters that too in forest..
they do not want sympathy etc. of anyone or any help, not even they are some animals of zoo who u wish to visit. they just hv learned to live with nature n quite happy this way rather begging Indian Govt. for their own properties which they once owned(worth billions). They just want no intruders in their peaceful world. Respect that. Learn from them..
nice article vikramajit. great efforts made to know about the royal family’s present situation but y can’t we make an effort to help them to interact with normal ppl, they are in that situation only because they dint got any helping hand. its like a kid getting scared of dog but when we make him understand dog is a friendly animal and make him comfortable to be with dogs, that kid will start playing with them. isn’t this the same thing? We can make an effort to have a conversation with prince when he come out for shopping. we can make him feel comfortable. lets do this good thing and help them to make their last years of their life beautiful and happy. We can discuss different ideas to achieve this. My intention is not to trouble them, every body have rights to enjoy the fruit of earth let us help them to see the new world. They have chosen that life for themselves. We are no one to impose our style on them. Since they are not interested in interacting with outside world, we cannot force them to do so. People approach them out of pity. This is what they hate most. I am not sure in what state they are right now. But whatever it is, it’s their life and they have the right to live the way they want. It is not that no one ever approached them and offered help. But you cannot impose it on them against their will. Wow……what a piece of writing !!!! It is just awesome……. I also heard the story yesterday only by my bro while going through that way..so today i searched about it and find its a very strange and curious story…..this palace is nearby my home so I am very much curious to see the prince and if i saw him i will definitely share a pic with u alll!!!!! No man is an island, never meant to live alone. These people are too proud to accept any kind of assistance. A definite sign of royalty. You can see it in the demeanor of Princess Sakina’s mother, Princess Wilayat Mahal. Our Indian hospitality is famous throughout the world. How is it not one person ever tried to help them. People need food, clothes, provisions; how are they getting all this. It’s so easy to ignore them and only make them subjects of curiosity. No, they have not chosen to live their life this way, it has been forced upon them by the indifference of society and the selfishness of mankind. We take better care of our dogs. Hope some one can find the desire some where inside them to make a small difference in the lives of Princess Sakina and Prince Riaz. They deserve better. They are just victims of their circumstances. They had another brother Prince Mehdi, what of him? i just read ur article.. i came to know abt this place from facebook n im really not able to sleep after hearing their story n feeling very sympathetic towards them. they r at that stage of life where they need love., family and support. dnt u think v must do something for them. atleast v can try to restore their electricity connection. i wish i could keep them at my home n give them the love they need. if anytime u meet the prince do tell them that u all love them n respect them. Anybody should have a decent living and a decent death. What it is the last news about them. Should be left die and decay in the name of leaving them in peace. All these years in that living condition they would have been off balance of mind. It could be not out of pity but shear love for a fellow human. Anybody can become insane in that type of living. Anybody in Delhi please do something.., They are not in some remote country side. I am in Chennai.. After the storm that hit Chennai, we were not having power for three days(! )..Certainly we cant treat them to be normal. Nobody will accept the change, it will not simply dawn on them. Even a beggar or leper is treated decently. This is the land that had St Mother Teresa. Let us make it happen for better. Sir, can you please tell us the actual and recent condition or any recent news about the prince? I am a student of delhi university pursuing bachelor’s in journalism and mass communication . We want to know something about them as we really want to make a documentary on the last descendent of ouad. I am not aware of present state of the duo. I was there last week, but couldn’t get a chance to meet them or to talk to anyone. As soon as i get some info, i shall update this article. Ik, actually we went there yesterday but can’t able to find the mahal ..we really want to know about that mahal and the situation … If it is possible then can u please meet us? Or contact us? Or any way to contact you? Vikram, he had a younger brother in boarding school as well i read somewhere!!! Oh! But I doubt that. They never mentioned about it in any of the interviews. Besides, when they were young and spent 9 years at railway station, reference to 3rd sibling never came. Very sad and heart touching.